Driveway pavers are expected to last for up to 30 years, but only if you take good care of them! This is why if you have a newly paved driveway, it’s best to provide it with some TLC to make it more resistant to dirt and oil and most importantly, ensure that it will last a very long time. To help you keep your driveway in excellent condition, here are a few maintenance tips you should know. To prolong the life of your driveway, consider resealing it once every two years. If you’re going to DIY, ensure that your approach is suitable for the type of material used in the construction process. Also, experts recommend using solvent-based sealant instead of those that are water-based as a solvent-based sealant is more resilient against the elements. Alternatively, you can hire paving specialists like Just Pave to help you seal and maintain your paved driveway! By enlisting the help of experts, not only can you save time and money, you can ensure that the results will be what you’re expecting. Removing dirt and debris, as well as solvents and oil residues from your car will help extend the lifespan of your driveway. What’s more, it makes your driveway more pleasing to look at. You may use a pressure washer to get rid of tough stains and marks. However, ensure that you’re using the correct settings. 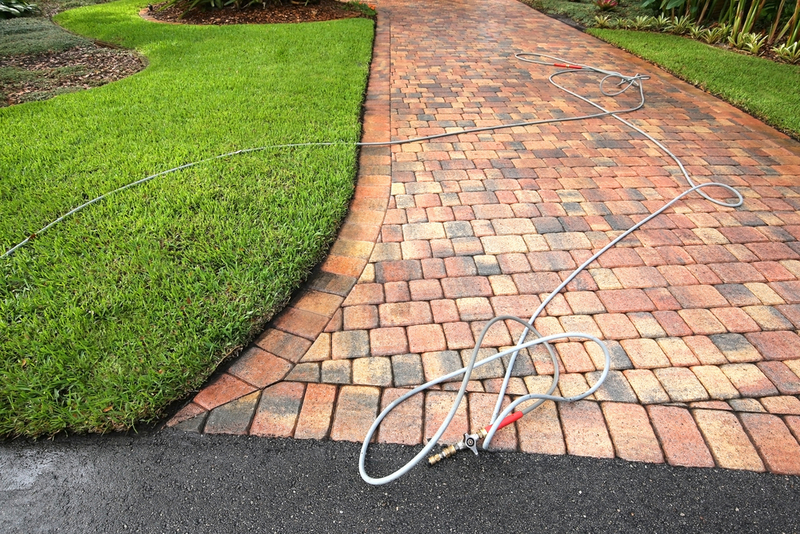 Many homeowners make the mistake of using high settings on their pressure washer. Some of them also use harsh detergents or cleaning agents. This is a big no-no because such practices can harm the surface of your driveway and make it more prone to water damage and cracking. Dealing with weeds is also an important part of paved driveway maintenance. As such, as soon as you see weeds growing in a crack or hole in your driveway, you should act quickly. Spray them with environment-friendly weed killer or vinegar to prevent them from making the crack larger. Considering a paved driveway in Launceston? Contact the paving specialists, Just Pave, today!